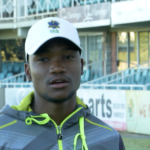 Sinethemba Qeshile and Lutho Sipamla have rejoined the Warriors squad for their One-Day Cup semi-final against the Dolphins. 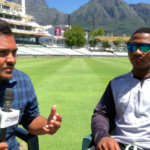 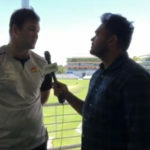 Jon-Jon Smuts chats to Khalid Mohidin about the Warriors’ victory against the Cobras and how T20 cricket has affected the longer format. 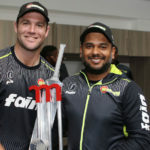 Former Dolphins and KwaZulu-Natal left-hand bat (and SA U19 captain), Rivash Gobind, is the head coach for the Warriors franchise side and assistant coach of the Nelson Mandela Bay Giants. 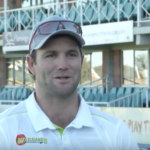 Former Dolphins and KwaZulu-Natal left-hand bat (and SA U19 captain), Rivash Gobind, is the head coach for the Warriors and assistant coach of the Nelson Mandela Bay Giants. 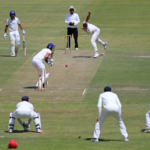 At the halfway mark of the 4-Day Franchise Series, the Lions have crept up into second spot behind the Cape Cobras, while the Titans and Dolphins occupy fifth and sixth spots respectively on the log. 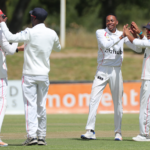 The Highveld Lions climbed to second spot on the log with a 186-run win over log-leaders the Cape Cobras on the final day of their 4-Day Franchise Series match, while the Dolphins and the Titans played out a draw. 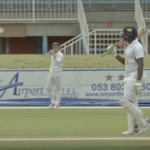 Action from day three of the 4-Day Franchise Series match between the Knights and Warriors in Kimberley, as the Knights completed their biggest-ever 4-Day Franchise Series victory, winning by 284 runs. 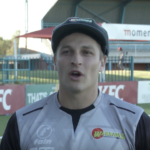 Warriors captain Jon-Jon Smuts reflects on his side’s defeat to the Knights on the third day of the 4-Day Franchise Series match between the Knights and Warriors in Kimberley. 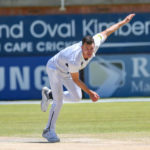 The Knights cleaned up the Warriors on day three of the 4-Day Franchise Series to jump to second on the Series log, the Titans are well placed to push for a win over the Dolphins, while the Cobras overcame a top-order collapse to keep a window open against the Lions. 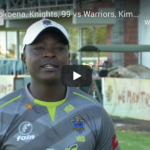 Tshepo Ntuli took 4-58 for the Knights against the Warriors on day two of the 4-Day Franchise Series match at Kimberley, Nov 5-8 2018. 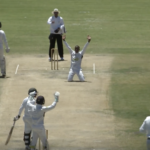 Edward Moore of the Warriors top-scored for his side with 37 against the Knights on day two of the 4-Day Franchise Series match at Kimberley, Nov 5-8 2018. 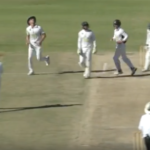 Action from day one of the 4-Day Franchise Series match between the Knights and Warriors at Kimberley, Nov 5-8 2018.